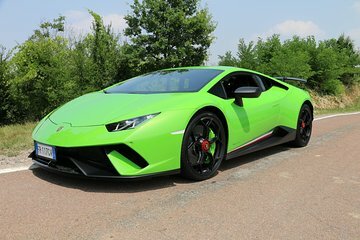 Discover the thrill of driving a Lamborghini Huracan on this experience in Maranello. With an instructor, you'll drive along local streets starting near the Ferrari Museum, and enjoy the adrenaline rush as you experience the power of the car's engines. Several options are available to suit your time and budget; you can stay in town, pass by the Ferrari Factory and its wind tunnel, or head into the countryside.